One of the ways Avi Vantage adds load balancing capacity for a virtual service is to place the virtual service on additional Service Engines (SEs). For example, capacity can be added for a virtual service when needed by scaling out the virtual service on to additional SEs within the SE group, then removing (scaling in) the additional SEs when no longer needed. In this case, the primary SE for the virtual service coordinates distribution of the virtual service traffic among the other SEs, while also continuing to process some of the virtual service’s traffic. An alternative method for scaling a virtual service is to use a Border Gateway Protocol (BGP) feature, route health injection (RHI), along with a layer 3 routing feature, equal cost multi-path (ECMP). Using Route Health Injection (RHI) with ECMP for virtual service scaling avoids the managerial overhead placed upon the primary SE to coordinate the scaled out traffic among the SEs. BGP is supported in legacy (active/standby) as well as elastic (active/active and N+M) high availability modes. If a virtual service is marked down by its health monitor or for any other reason, the Avi SE withdraws the route advertisement to its virtual IP (VIP) and restores the same only when the virtual service is marked up again. Avi Vantage’s native SE scaling method allows a virtual service to be scaled out to a maximum of five SEs. Its primary SE and four additional scale-out SEs. Using BGP, a virtual service enabled for RHI can be placed on up to 64 SEs within the SE group. Each SE uses RHI to advertise a /32 host route to the virtual service’s VIP address, and is able to accept the traffic. The upstream router uses ECMP to select a path to one of the SEs. The limit on SE count is imposed by the ECMP support on the upstream router. If the router supports up to 64 equal cost routes, then a virtual service enabled for RHI can be supported on up to 64 SEs. Likewise, if the router supports a lesser number of paths, then the virtual service count enabled for RHI will be lower. 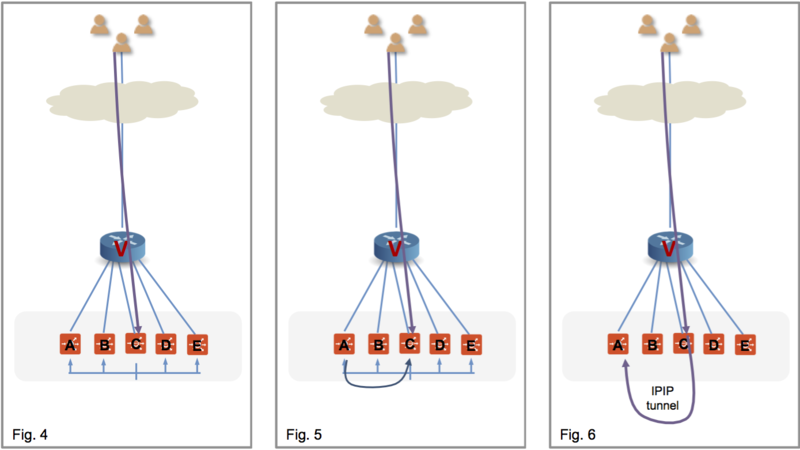 A VIP can be advertised to 8 peers, all belonging to single subnet. 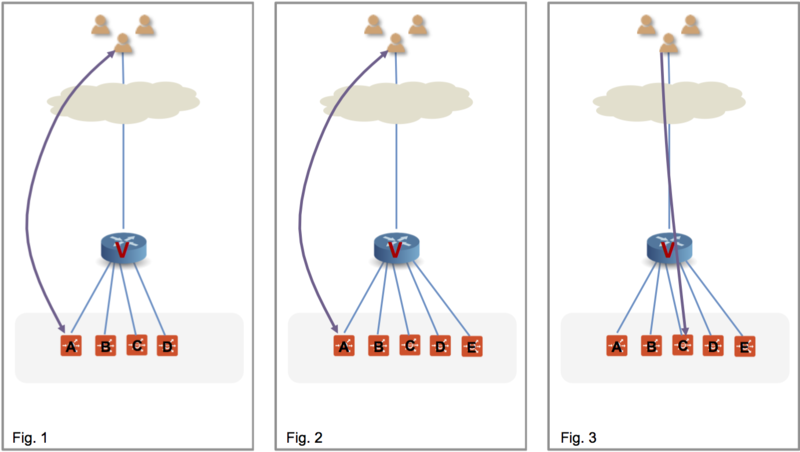 A VIP can be advertised to 4 pairs of peers (once again, 8 peers), with each pair belonging to separate subnet. BGP-based scaling is supported on the following. Note: Peering with OpenStack routers is not supported. However, peering with an external router is possible. Avi Vantage supports use of the following routing features to dynamically perform virtual service load balancing and scaling. In Avi Vantage BGP peer changes are handled gracefully as explained below. 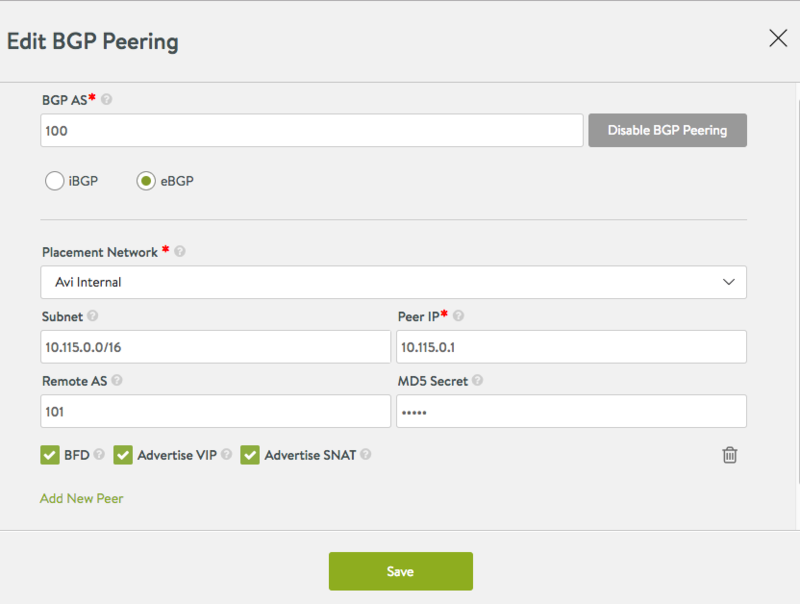 If a new peer is added to the BGP profile, the virtual service IP is advertised to the new BGP peer router without needing to disable/enable the virtual service. If a BGP peer is deleted from the BGP profile, any virtual service IPs that had been advertised to the BGP peer will be withdrawn. 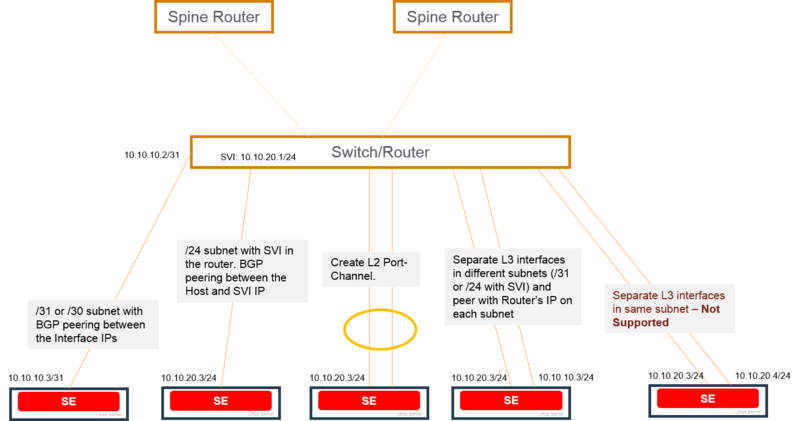 BGP is supported over the following types of links between the BGP peer and the Avi SEs. Each SE can have multiple BGP peers. For example, an SE with interfaces in separate layer 3 subnets can have a peer session with a different BGP peer on each interface. Connection between the Avi SE and the BGP peer on separate Layer 3 interfaces that are in the same subnet and same VLAN is not supported. Using multiple links to the BGP peer provides higher throughput for the VIP. The virtual service also can be scaled out for higher throughput. In either case, a separate host route to the VIP is advertised over each link to the BGP peer, with the Avi SE as the next hop address. BFD is supported for fast detection of failed links. BFD enables networking peers on each end of a link to quickly detect and recover from a link failure. Typically, BFD detects and repairs a broken link faster than by waiting for BGP to detect the down link. A flow is a 5-tuple: src-IP, src-port, dst-IP, dst-port, and protocol. Routers do a hash of the 5-tuple to pick which equal cost path to use. When an SE scale out occurs, the router is given yet another path to use, and its hashing algorithm may make different choices, thus disrupting existing flows. To gracefully cope with this BGP-based scale-out issue, Avi Vantage supports resilient flow handling using IP-in-IP (IPIP) tunneling. The following sequence shows how this is done. BGP supports authentication mechanism using the Message Digest 5 (MD5) algorithm. When authentication is enabled, any TCP segment belonging to BGP exchanged between the peers, is verified and accepted only if authentication is successful. For authentication to be successful, both the peers must be configured with the same password. If authentication fails, BGP peer session will not be established. BGP authentication can be very useful because it makes it difficult for any malicious user to disrupt network routing tables. To enable MD5 authentication, specify md5_secret in the respective BGP peer configuration. MD5 support is extended to OpenShift cloud where the Service Engine runs as docker container but peers with other routers masquerading as host. The following requirements apply to the BGP peer router. For eBGP, the peer router will see the TTL value decremented for the BGP session. This could prevent the session from coming up. This issue can be prevented from occuring by setting the eBGP multi-hop time-to-live (TTL). 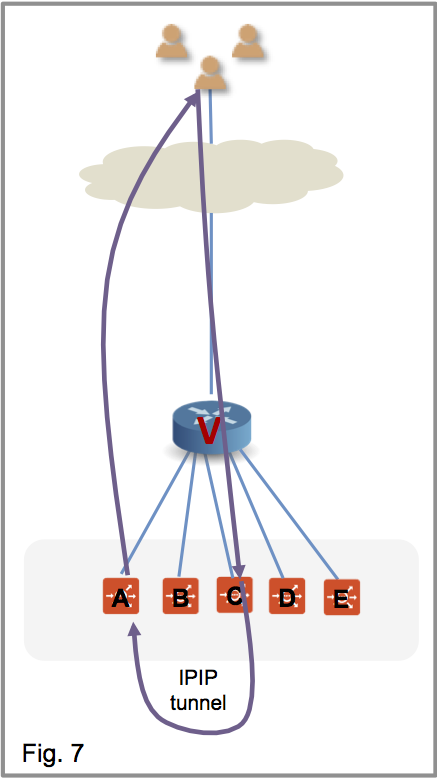 For example, on Juniper routers, the eBGP multi-hop TTL must be set to 64. Click on the BGP Peering tab, and then click on the Edit icon to reveal more fields. Click Add New Peer to reveal a set of fields appropriate to iBGP or eBGP. Note: Remote AS is an additional field in eBGP. BGP peering (as eBGP) is explained below. Click on Save. The BGP Peering screen appears as below. The following command can be used to view the virtual service’s configuration. Multihop BGP is supported in Avi Vantage. Click here to know more.